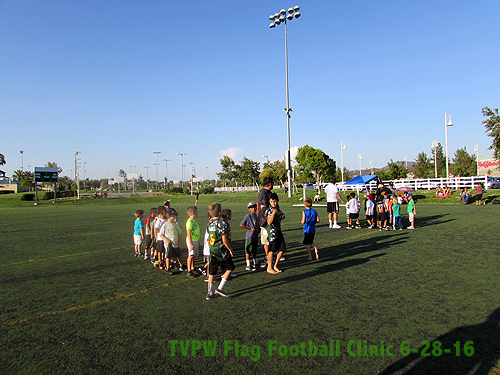 Temecula, CA (June 29, 2016) - Temecula Valley Pop Warner Football (TVPW) held a flag football clinic June 28 at Birdsall Sports Park in Temecula. 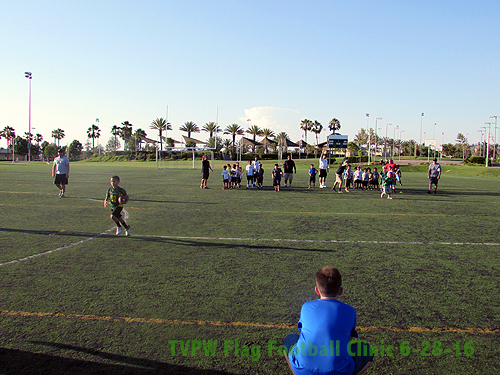 The event was well attended by 2016 Flag Football registrants and fun and learning was had by all. 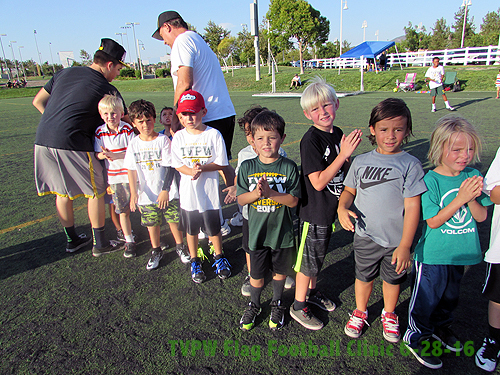 "Flag is the first introduction to football for many of these youth athletes", states Temecula Valley Pop Warner President, Tim Arnzen. "We recognize that that these kids are the future of our league and we just want to say thanks to the parents, players, and volunteers who came out to support this endeavor - and we look forward to seeing everyone this season." 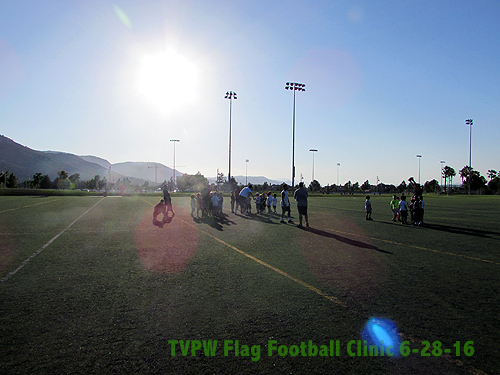 TVPW will be hosting open pre-season skills and conditioning clinics every Tuesday and Thursday beginning July 7th through July 28th (5-7pm) at Birdsall Sports Park. 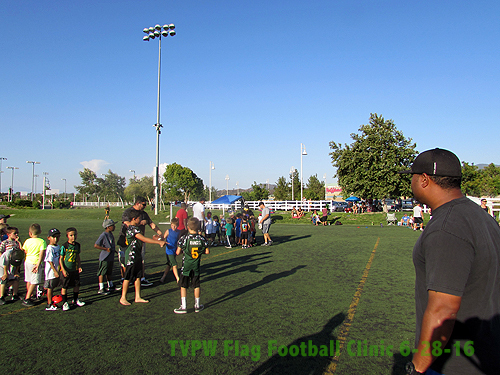 This is free of charge and open to all kids, and you don't have to be a TVPW registered player to participate. 2016 Football and Cheer registration is still open. If you're interested in registering, please click here for more details.